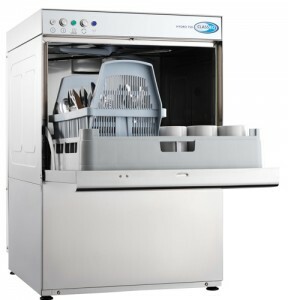 The Classeq Hydro 750 commercial Dishwasher with a double skinned cabinet door to reduce heat loss and lessens noise in operation. Removable rack guides and wash chamber door allow easy cleaning and simple service access. The Classeq Hydro 750 Dishwasher can be equipped with a gravity drain or a drain pump. Please contact us for further information. Free delivery in England and Wales. 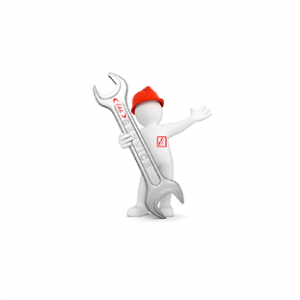 All orders have a normal normal time of 1 – 5 working days. Buy any Classeq under counter unit from us today and we will install it for you from as little as £100 Ex Vat all under counter units including Eco 1, Eco 2, Eco 3, Duo 2, Duo 3, Duo 400, Hydro 400, Hydro 700, Hydro 750, Duo 750. 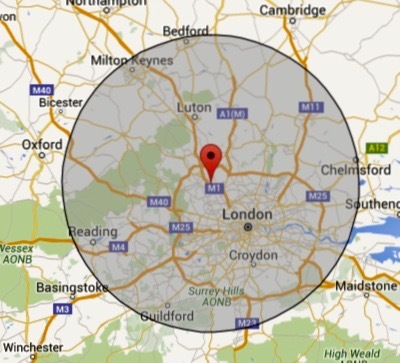 This offer is only for customers with premises inside our area please see map below.